So glad to hear you had such a great weekend with your family. I had no idea the tour of Lady Liberty was such a deal! 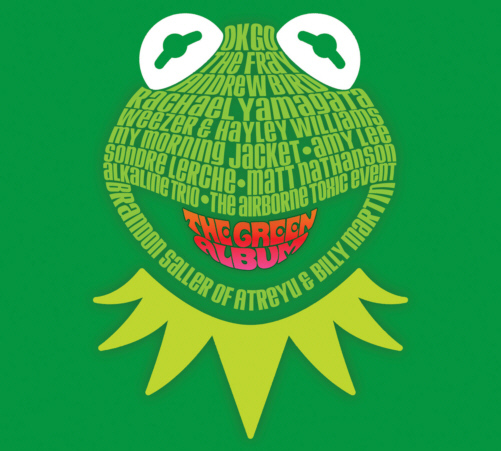 Speaking of school days reminiscing, I'm so excited that The Green Album is coming out today from the new Muppets movie. This is really uncharacteristic for me because I tend not to like cartoons or animated movies (I know, I'm such a hater) and you would think muppets would fall into that category. But for some reason I'm pumped about this movie which comes out Nov 23. I think I'm a sucker for Kermit and Miss Piggy. I'm a romantic at heart. And one of the cartoons that I loved watching when I was a kid was Muppet Babies. Remember Nanny's striped stockings? Why could we only see her feet??? I had NO idea this movie was coming out - I am so so so excited! Thanks 75th & Sedgwick!